The site of El Manatí is located in the Mexican state of Veracruz, near the town of Hidalgotitlán, 60 km south of the port city of Coatzacoalcos and 15 km southeast of San Lorenzo Tenochtitlán, a major Olmec site. 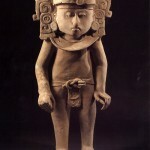 Archaeological excavations in the late 1980s and early 1990s showed that El Manatí was a sacrificial bog utilized by the Olmec culture from around 1600 to 1200 BC (Rodríguez, Ortíz, and Ogata n.d.; Rodríguez and Ortíz 1997: 72). Because of the anaerobic conditions of the bog, artefacts constructed out of organic material recovered from El Manatí have been found in a remarkable state of preservation. El Manatí came to the attention of archaeologists Ponciano Ortíz and Maria del Carmen Rodríguez in 1987 when villagers from the hamlet of El Macayal discovered at least two strange wooden sculptures, along with other artefacts while they were digging a fish pond (Aguilar 2008; Ortíz and Rodríguez 1999: 225). 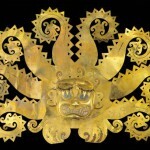 The villagers reported their discovery to the Veracruz Regional Centre of Mexico’s Instituto Nacional de Antropología e Historia (INAH). Rodríguez and Ortíz travelled to the site in 1988, they spoke to the locals who handed over their finds, and then began to excavate (Ortíz and Rodríguez 1999). Among the well-preserved artefacts recovered from the bog are a total of twenty wooden sculptures, usually referred to as busts, of the type originally found by locals in 1987. Carbon dated to around 1200 BC, the sculptures are rendered in the so-called ‘elongated man’ style, a characteristic Olmec figurine form previously only known from ceramic and stone pieces. They are true busts: they are rendered without limbs with the head and trunk carved to the middle of the waist with a flat base so that they can stand upright (Rodríguez and Ortíz 1997: 84). Many of the busts had been wrapped in vegetable fibre mats and ritually buried (Ortíz and Rodríguez 1999). Other ritual artefacts accompanied several of the busts (see Ortíz and Rodríguez 1999), and overall they seem to have been interred as a group along a north-south axis in sets of twos and threes (Rodríguez, Ortíz, and Ogata n.d.). 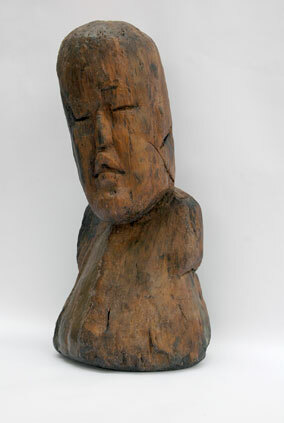 The twenty wooden busts recovered by villagers and archaeologists at El Manatí represent the only known examples of this type of Olmec artefact. Generally speaking, neither the art market nor archaeology has produced wooden Olmec sculptures prior to 1989. In 1996 three El Manatí style sculptures appeared in the 1996 catalogue of a 1992 exhibition in Spain published by collector and dealer Leonardo Patterson (Aguilar 2008b; 2010). This same catalogue contained images of the Moche headdress from the Peruvian site of La Mina. Following a raid on his warehouse in Spain, Patterson transported a number of artefacts from Spain to Munich, ostensibly to return them to the person he claimed actually owned them. Among them was one of the three El Manatí style busts which were subsequently confiscated by German police working with Interpol (Aguilar 2008a). Questions have been raised about the authenticity of the seized wooden busts, as indeed they have with other items Patterson has dealt with (for example, see Art Daily 2010, Elias 1984),. The archaeologists who originally excavated at El Manatí in the late 1980s have expressed genuine surprise that there might be more busts than the ones they recovered (Aguilar 2008b). Yet looting and illegal export of artefacts from El Manatí is not impossible. Archaeologist Michael Coe, who believes the busts to be genuine, has stated that he observed a few wooden busts on the antiquities market around 1988, after objects were encountered by locals but before archaeological excavation began (Aguilar 2008a). Citing local sources, journalist Julio Aguilar of El Universal has written that an unknown number of wooden sculptures were kept from archaeologists working at El Manatí and were carried to Coatzacoalcos, where they were sold to local dealers (Aguilar 2008b). These reports have not been independently confirmed. The seized busts have yet to be scientifically tested to determine if they are genuine and it is unclear if they are among the antiquities seized from Patterson that have been returned to Mexico. 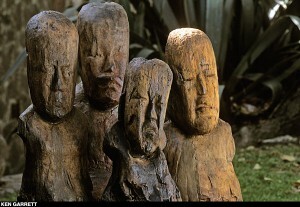 On 18 November 2015 a Munich civil court ruled that two wooden figures seized from Patterson which are thought to be looted from El Manatí were illegally exported from Mexico and has ordered their return (Associated Press 2015). Patterson has the ability to appeal this verdict. Aguilar, Julio (2008a), Saqueados desde antes de su rescate, El Universal, 23 June. <http://www.elmanana.com.mx/notas.asp?id=63907>, accessed 17 September 2012. –– (2008b), ‘INAH guarda silencio sobre su autenticidad’, El Universal, 25 June. <http://www.eluniversal.com.mx/cultura/56574.html>, accessed 17 September 2012. –– (2010), ‘El valioso tesoro que México no sup pelar’, El Universal, 17 February. <http://www.eluniversal.com.mx/cultura/62385.html>, accessed 17 September 2012. 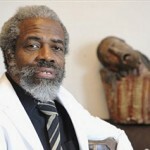 Art Daily (2010), ‘Over 250 Pieces of the Leonardo Patterson Affair are a Sham’, ArtDaily.org, 17 April. <http://www.artdaily.org/index.asp?int_sec=2&int_new=37492#.UQz1eomLLfg>, accessed 2 February 2013. Associated Pres (2015), ‘German Court Orders Ancient Olmec Figures Returned to Mexico’, ABC News, 27 November. <http://abcnews.go.com/International/wireStory/german-court-orders-ancient-olmec-figures-returned-mexico-35443179>, accessed on 30 November 2015. Elias, David (1984), ‘FBI Arrests Pre-Columbian Art Dealer on Fraud Charges’, The Age, 5 June, page 3. Available at: <http://news.google.com/newspapers?nid=1300&dat=19840605&id=ejRVAAAAIBAJ&sjid=5JQDAAAAIBAJ&pg=3881,2504161>, accessed 2 February 2013. Ortíz C., Ponciano and María del Carmen Rodríguez (1999), ‘Olmec Ritual Behavior at El Manati: A Sacred Space’, in David C. Grove and Rosemary A. Joyce (eds. ), Social Patters in Pre-Classic Mesoamerica (Washington DC: Dumbarton Oaks), 225-254. Rodríguez, María del Carmen and Ponciano Ortíz C. (1997), ‘Olmec Ritual and Sacred Geography at Manatí’, in Barbara L. Stark and Philip J. Arnold III (eds. ), Olmec to Aztec, Settlement Patterns in the Ancient Gulf Lowlands (Tucson: University of Arizona Press), 68-95. Rodríguez, María del Carmen, Ponciano Ortíz, and Nisao Ogata (n.d.), ‘El Proyecto Arqueológico Manatí y la propuesta de una reserva Eco-Arqueológica’, Website of the University of Veracruz, <http://www.uv.mx/ethnobotany/El%20manati/el_manati/El_Manati.html>, accessed 18 September 2012. A figurine in the collection of the Metropolitan Museum of Art by way of Nelson A. Rockefeller (1979.206.1063, ‘Mirror Bearer’) is a wooden artefact that has previously been said to display Olmec characteristics but has been carbon dated to the 6th century AD, thus after the Olmec. A wooden Mask in the collection of the American Museum of Natural History donated by Joseph Brummer (30.2/9373) is, at times, considered to be Olmec (or Olmec Style) but is now listed by the museum as being simply ‘Formative’. The unprovenienced nature of the object prevents a culture-specific identification. Two pre-Columbian antiquities offered for sale by Sotheby’s New York in 1994, were later found in photographs taken by an admitted artifact looter and smuggler.